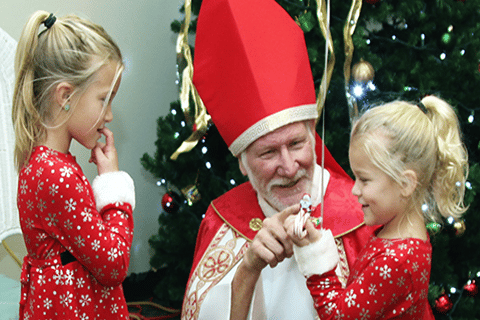 The Santa Claus Christmas Celebration is in full swing, and the second weekend brings even more special events. 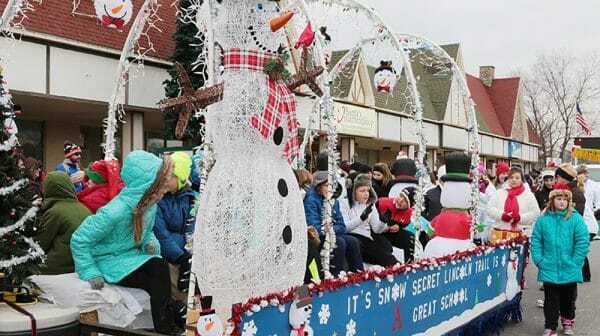 Look forward to the Santa Claus Christmas Parade, The Santa Claus Arts & Crafts Show, and so much more. Don’t worry about missing a thing. We’ve created a guide for the 2nd Weekend of the Christmas Celebration just for you! Get a little Christmas shopping done at the gigantic Santa Claus Christmas Store. And surprise your kiddos with a visit with Santa! During Christmas Dinner with Santa at Santa’s Lodge, you can enjoy a traditional holiday dinner, complete with milk, cookies, and story time. Or, grab dinner at a local, Christmas-themed restaurant. Frosty’s Fun Center is located right across the road and has delicious specialty pizzas. Find more restaurant options in our area. 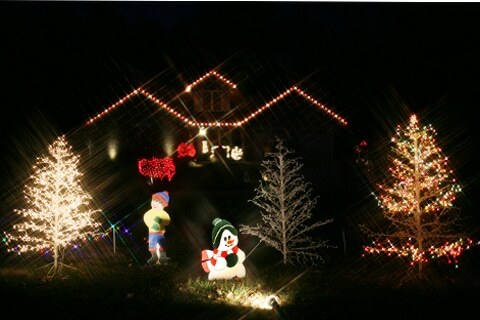 Finish your evening with a drive-through light adventure at Santa Claus Land of Lights, inside Lake Rudolph Campground & RV Resort’s. Start your morning off at the Historic Santa Claus Campground. You’ll need a big breakfast to fuel the exciting day ahead. Fill up with all-you-can-eat pancakes while enjoying the company of Santa at Breakfast with Santa from 7:00 – 10:00 am CT.
Then, check out the Santa Claus Arts & Crafts Show featuring nearly 100 vendors at the new location, Heritage Hills Middle School gymnasium, just a couple miles outside of Santa Claus. Get more Arts & Crafts Show information here. Head to Kringle Place Shopping Center where you can browse Evergreen Boutique & Christmas Shop. Let the kids get their faces painted while you enjoy sipping mulled cider and browsing the store. Don’t forget to shop around at the newly remodeled Santa’s TOYS. Shopping sure does work up an appetite, grab some lunch before making your way to the parade. Find German-inspired dishes at Das Nikolausfest, as well as kid’s activities, fresh baked goods, live music and entertainment, and a visit by St. Nicholas. Then, pick out a prime spot for the Santa Claus Christmas Parade. Collect as much candy as possible and don’t miss Santa riding through on his sleigh! After the parade, warm up with hot refreshments at Lincolnland Worship Center. The kiddos will love beading candy canes to take home. And starting at 4:00 pm CT, sit back and relax for a Christmas concert by Cheri Taylor. The Lincoln Boyhood Drama Association presents Scrooge’s Christmas at the Heritage Hills High School Auditorium. This is an adopted tale from Charles Dicken’s classic, A Christmas Carol. The performance is one hour and will entertain the whole family. Next, drive through Christmas Lake Village during the Festival of Lights from 5:00 – 9:00 pm CT. This is a free event, but canned goods and monetary donations can be dropped off at the gate to benefit a local food bank and Spencer County CASA. It is the season of giving after all! If you haven’t already, don’t forget to write your letter to Santa at the Santa Claus Museum & Village by December 20, 2018. Every child that sends a letter receives a response and it’s free, too! 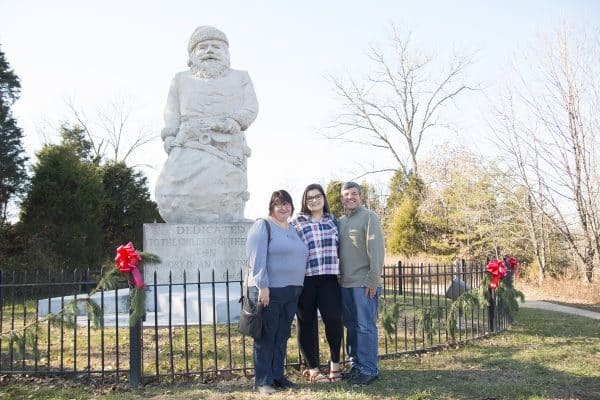 After the little ones have sent their wishes to Santa, and your family has explored the Santa Claus Museum, stop by the historic Santa Statue for one last family photo opp before leaving town. Families have been taking photos with this statue for generations, it’s the perfect place to start a tradition. Still craving Christmas? Head over to the events page for detailed event listings. Check back next week for the 3rd Weekend of the Christmas Celebration!